Welcome to the accessibility statement for Bron Eifion Country House Hotel. This page covers the accessibility and standards compliance measures taken by Bron Eifion Country House Hotel, as well as guidelines on how to take advantage of those features. We have made every reasonable attempt to make the content on this website as accessible as possible to all disabled persons. Why does our site need to be accessible? An accessible website has a huge number of advantages - Blind users may utilise a screen reader which uses speech synthesis to read out a web site's content, valid and semantic XHTML design means that this will work the way that the software intends. Partially sighted visitors will need to increase the size of the text on your website and valid CSS design will be needed to allow this to happen. Deaf visitors and those with no mouse access along with web users with Colour Blindness and even Epilepsy are also considered. People with mobility issues may be unable to control a mouse to click on links. The W3C introduced the access key attribute to enable users to select the appropriate key on their keyboards and navigate to a particular link. Able-bodied users can find them equally useful as shortcuts, too. The access key attribute is currently supported by the following web browsers; Internet Explorer 4+ (Windows) & 5+ (Mac), Mozilla (Windows + Linux), Netscape 6+ (Windows) and Opera 7 (Windows + Linux). Windows users can navigate with the access key feature by typing 'ALT'+'Access key' and Mac users can use 'CTRL'+'Access key'. Links within this website use descriptive title attributes. These supply additional information about the nature of the link. Links are also provided in such a way that they make sense out of context. All content images used in this site include descriptive 'ALT' attributes. 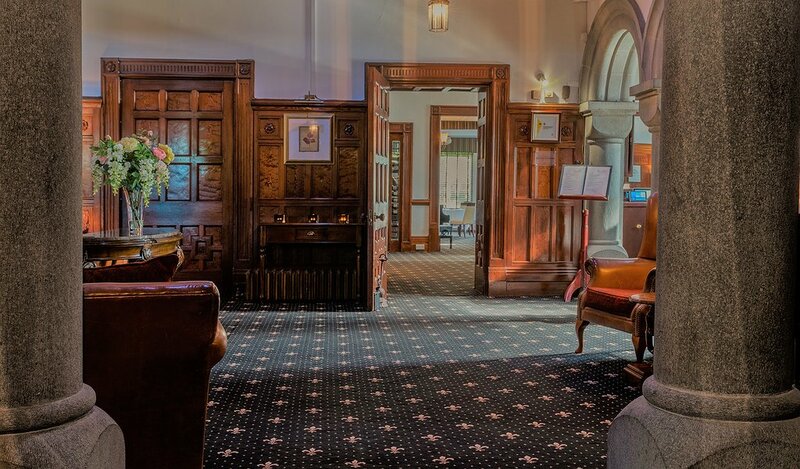 Whilst Bron Eifion Country House Hotel strive to adhere to the accepted guidelines and standards for accessibility and usability, it is not always possible to do so in all areas of the website. If you find a specific problem, please contact us.